Metro’s Food Editor, Chloe Scott wrote an article on how to cook the perfect rendang curry and included her Beef Rendang recipe, which we tried. The extensive list of ingredients for this Malaysian dish include stewing beef, coconut milk, lemongrass, cinnamon, star anise, kaffir lime leaves, palm sugar, coconut flakes, and a paste made from shallots, garlic, cloves, birds-eye chillies, ginger and turmeric. 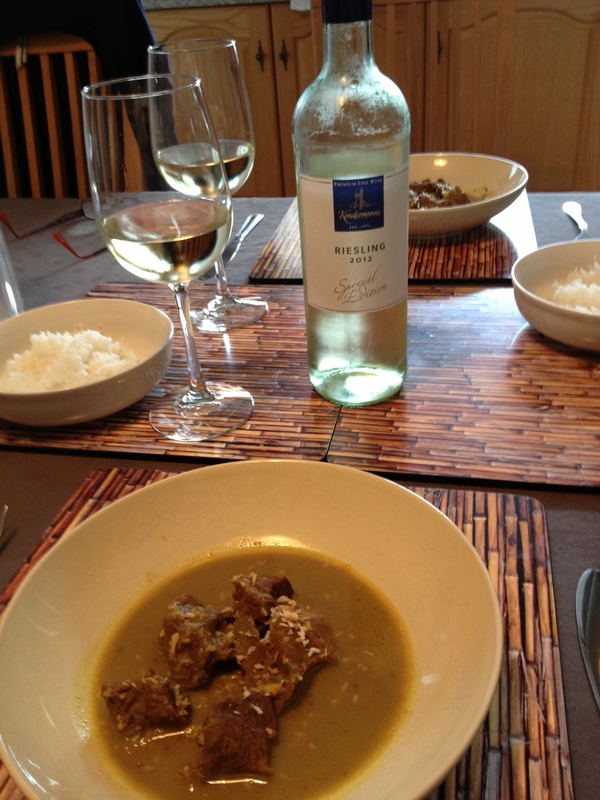 We served the curry with Jasmine rice and we’ll definitely do this recipe again. 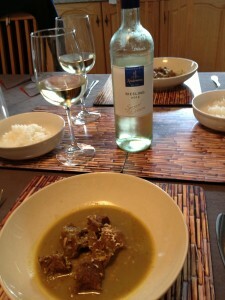 We paired the meal with a bottle of Kendermann’s Special Edition Riesling, 2012, an off-dry German white from Waitrose. They suggest it matches particularly well with oriental and spicy foods and we wouldn’t disagree. We found it fresh, citrussy, with flavours of pineapples, melon and tropical fruits, with a smooth, creamy finish. A good match with the curry. Rosé or Riesling With Chinese Chicken?